Big Caesar spent four years in a home full of people and proved to be a wonderful family dog. Affectionate, low energy and low maintenance, this sweet guy loves nothing more than hanging out with his people. 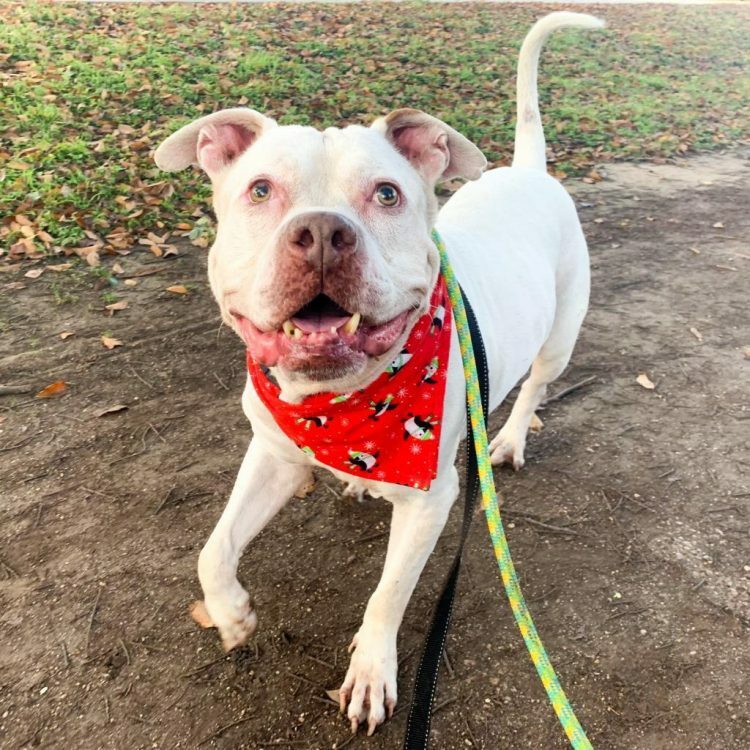 Described as a very caring and affectionate teddy bear, Big Caesar has a human-like look in his eyes, he's really good at knowing when you're down and is always there to give kisses to make you feel better. Big Caesar will let you love on him anyway you wish and is up for cuddles whenever you are, laying his head in your lap to ask for pets. He thinks he's a big lap dog, but he's also happy just being by your side. He loves meeting people, but doesn't get jumpy about it, though he's usually playful right away and will bring them his rope toy to play with. While he's typically relaxed and lazy, he does like to play tug of war and fetch. When he want to play, he'll bring you his rope, then lay it down next to you and wait for you to pick it up. On top of being a total sweetheart, Big Caesar is also a very well-behaved pup to have around - he doesn't take food that isn't given to him, he doesn't whine, he's fully housebroken and is great being left home for extended periods of time. He doesn't need a crate, will only chew on his toys, and he'll spend most of the day just napping on his bed until you return. And this smart guy does just about anything on command: sit, lay down, stay, roll over, shake. He even plays dead. If treats are involved, you could probably get him to drive you to the store. Big Caesar is showing off his skills and learning more in APA! 's Total Obedience Program. The Total Obedience Program (TOP) is modeled after the AKC's Canine Good Citizen (CGC) test. As a TOP dog, Big Caesar has a personalized training plan and works with a volunteer trainer several times a week to help him expand his skill set to become the best dog he be! Skills such as walking nicely on leash, sitting calmly when approached by strangers or other dogs, and "Place", which means he will go to a specific place in your home on command. As long as he has people to love on and a cozy bed to call is own, Big Caesar would be comfortable in any size home. Come meet this amazing pup! 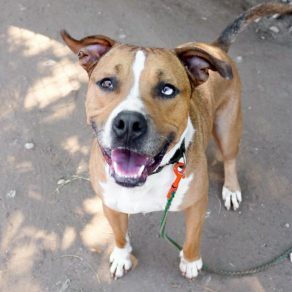 I saw Big Caesar (https://www.austinpetsalive.org/adopt/dogs/apa-a-32157) on the Austin Pets Alive! website and would like to request more information.